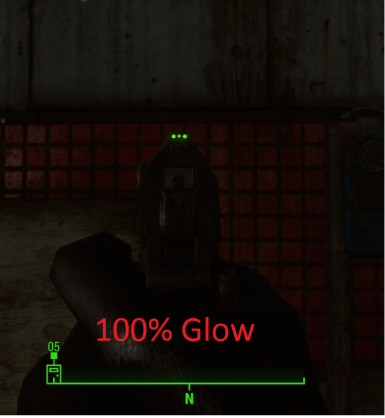 This mod removes the horrible bloom effect caused by the Glow Sights on the Deliverer. The massive bloom caused by the glow sights on the Deliverer has bothered me for a long time. 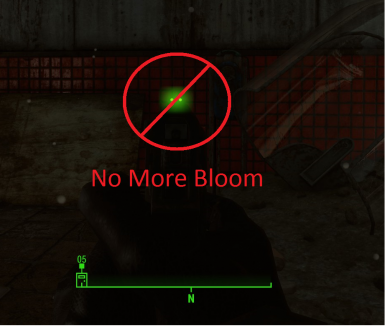 This mod removes the bloom from the Deliverer's glow sights. This mod comes in three versions, each version has a different intensity. 100% Glow, 50% Glow, and 25% Glow are the options. 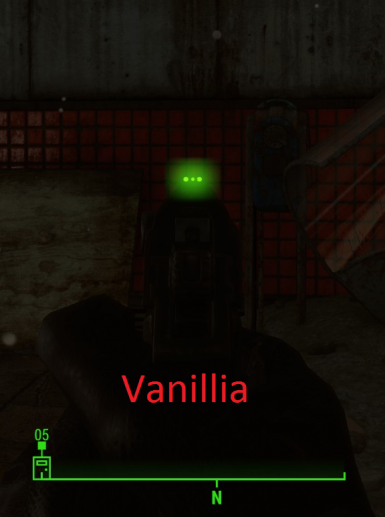 All versions eliminate the bloom effect caused by the vanilla glow sights. However, with the 100% Glow version you will occasionally get a very small amount of bloom but its mostly unnoticeable. My personally favorite and recommendation is the 50% Glow version. This mod does not disable bloom in your graphics options. 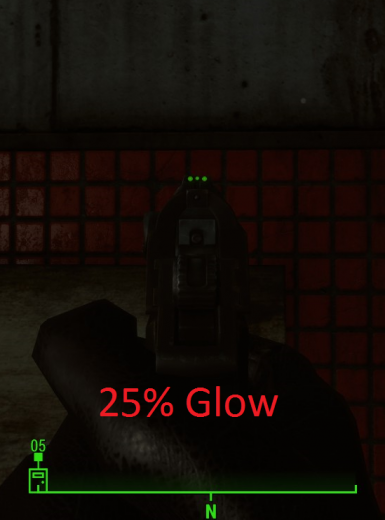 This mod does not change the glow sights for any other gun. Download using NMM. If for some reason that does not work simply do a manual download. Then drop it into your FO4 data folder. This is my first time working with the Creation kit. This is also my first independent mod. This mod works perfectly for me with my graphics setting. It may not work for you. If it does not work for you please let me know. However if it does work for you, please remember to endorse. 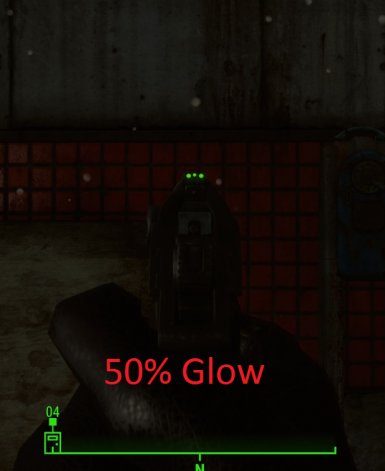 By popular demand, I looking to expand this to all the glow sights.